Skim a little off the top, and you have the Apache Light. Sharing many similarities to the more aggressive Apache 5, the Apache Light is more suitable for intermediate all-round climbers. The thicker 5mm Formula Enduro rubber is more durable with better edging capability, making the Apache Light suitable for climbing on harsh plastic holds and limestone edges. The X-Tension midsole pushes the toes into the toe-box whilst stood on tiny edges to increase stability. 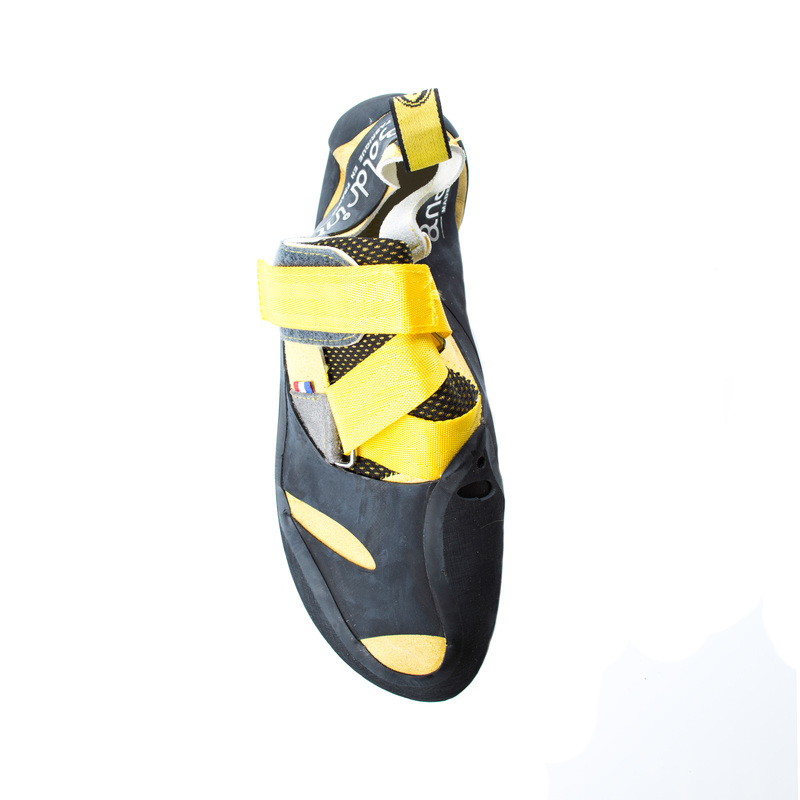 A moderate downturn and medium asymmetry provide the best balance of comfort and performance for both straight-up sport climbing and overhanging boulder problems. Extended rubber in the toe area increases toe-hooking performance. The unique velcro system provides a fast, easy, and precise fit that's easy to put on and remove. And the leather / microfibre upper is both breathable and resistant to deformation, keeping the shoe's powerful shape for longer. Bear in mind the Apache Light will stretch up to a half size. 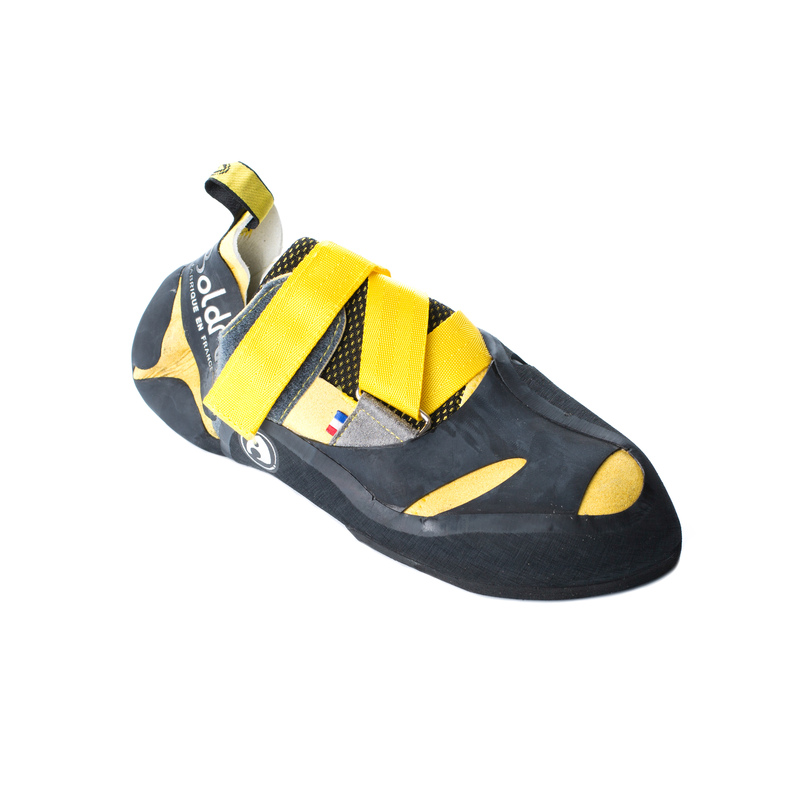 Ideal for any beginner looking to progress to an all-round performance shoe, those looking for a dedicated training shoe, or advanced climbers looking for a performance multipitch shoe. Boldrini's proprietary high-quality rubber designed for durability. A hard compound that's resistant to deformation, this rubber is at home on all types of micro-edges and tiny holds. Built to endure. An X-shaped midsole placed at the forefoot that increases support of the metatarsals, for greater comfort and power when toe-hooking. Bought these for a trip to Albraccin (which should be on everyones hit list) and was impressed how good and comfy they are. Went for a size 41.5. Fit like a glove. I wear an 8.5 in most 5.10 shoes. However, after the first day of use, some of the rubber seperated from the side of the fabric in a few places. I am putting this down to very thin application of glue but will hold out I think and a wee bit of home repair will fix it. Would buy another pair for sure. Worth a try if you have a wee bit of money spair. This shoe was my second pair and my first technical one. It fits my feet perfectly, the air is pushed out when I put my foot inside. The edge is precise and sticky. It id made of synthetic fabric that does not stretch so do not buy it too tight. The fabric might be a little stiff when starting a climbing session but it needs to warm up as well, after a few minutes, it feels like a second skin. The only downside is that the heel rubber is very thin soft and not as sticky as the sole, and stretches a bit with time. I wore it for a year, climbing once a week before needing to resole it. 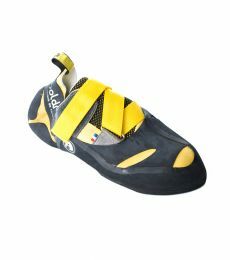 Overall, a great shoe that gave me confidence in my feet and accompanied my progression.